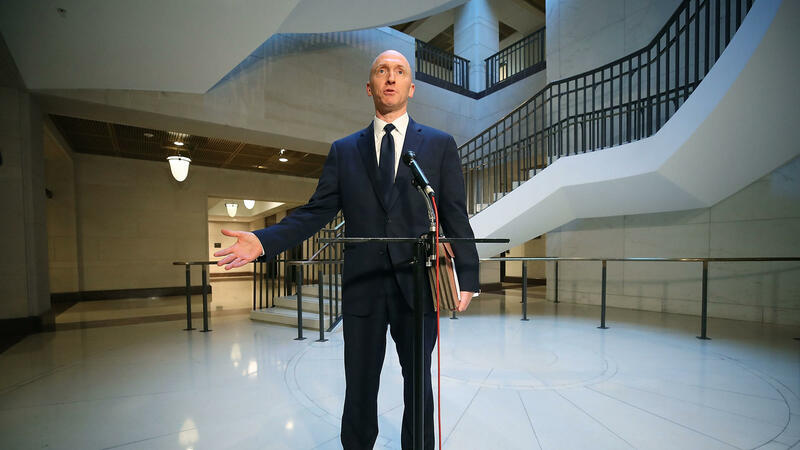 Carter Page, former foreign policy adviser for the Trump campaign, speaks to the media after testifying before the House intelligence committee on Nov. 2, 2017. The documents in question are specific pages of the June 2017 FISA warrant application related to onetime Trump campaign foreign policy adviser Carter Page, all FBI interview reports prepared in connection with all FISA warrant applications in connection with Page, and all FBI reports of interviews with Justice Department lawyer Bruce Ohr prepared in connection with the FBI's Russia investigation. Additionally, Trump has ordered the DOJ and the FBI to release all text messages related to the Russia investigation — in unredacted form — of former FBI Director James Comey, former FBI Deputy Director Andrew McCabe, former FBI Special Agent Peter Strzok, former FBI attorney Lisa Page and Ohr. "When the President issues such an order, it triggers a declassification review process that is conducted by various agencies within the intelligence community, in conjunction with the White House Counsel, to seek to ensure the safety of America's national security interests," a spokesperson for the Department of Justice said in a statement. "The Department and the Federal Bureau of Investigation are already working with the Director of National Intelligence to comply with the President's order." One of Trump's allies in the House cheered the president's decision. "I commend President Trump for his decision to declassify numerous documents, including several redacted pages of the Carter Page FISA application and important messages relating to the Russia investigation," Rep. Matt Gaetz, R-Fla., said in a statement. 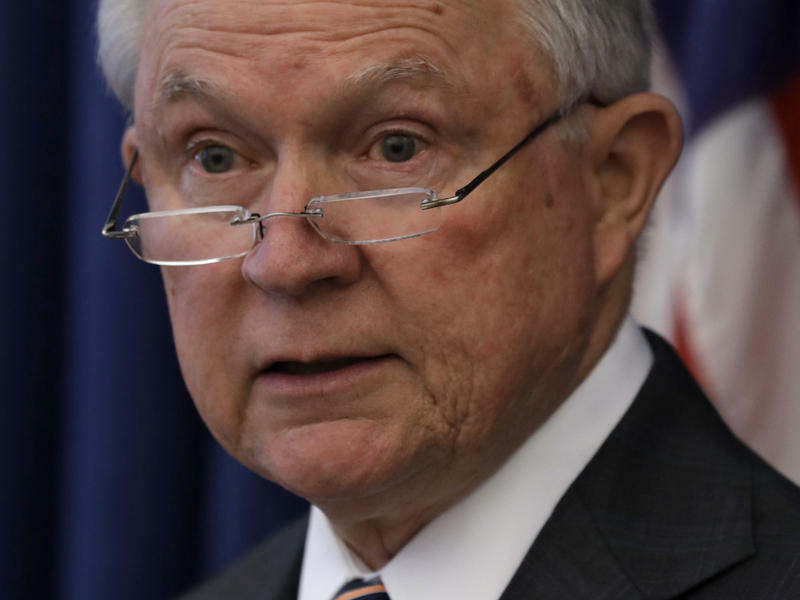 "My colleagues in Congress and I have requested these documents for months, but have faced lengthy and unnecessary delays, redactions, and refusals from officials at the Department of Justice and the Federal Bureau of Investigation." Gaetz, who sits on the House Judiciary Committee, added that he looks "forward to the forthcoming release of these documents, and reviewing them closely." But the top Democrat on the House intelligence committee criticized Trump's move. "President Trump, in a clear abuse of power, has decided to intervene in a pending law enforcement investigation by ordering the selective release of materials he believes are helpful to his defense team and thinks will advance a false narrative," Rep. Adam Schiff, D-Calif., said in a statement that also raised concerns about the possibility that intelligence sources and methods could be compromised by the release ordered by Trump. It is not clear from the statement when the declassification and release of the documents will occur. But when it does it would be the latest move by Trump and his administration to release previously secret documents at the heart of claims by the president's allies on Capitol Hill. Those allies, particularly conservative Republicans in the House, contend that the FBI's Russia investigation is biased against Trump at its core and from its early stages. In July the administration released the previously classified warrant application to the Foreign Intelligence Surveillance Court made by the FBI in 2016 seeking permission to surveil Page's communications. But those documents were heavily redacted, with entire pages blacked out. Earlier this year, in February, a memo by House intelligence committee Chairman Devin Nunes, R-Calif., was also declassified and released. And later that same month, a countermemo by Democrats on the same committee was declassified and released in redacted form. Although Monday's announcement had been anticipated, the news comes as the Trump administration is grappling with sexual-assault allegations against Supreme Court nominee Judge Brett Kavanaugh. A month ago, the president made headlines when he revoked the security clearance of former CIA Director John Brennan, a persistent Trump critic on TV and on Twitter, who played a role in referring information to the FBI that would spark the bureau's Russia investigation. The revocation of Brennan's clearance and the release by the White House of the names of a number of other individuals in federal law enforcement or the intelligence community whose clearances might also be in jeopardy occurred as prosecutors were wrapping up the presentation of their case against former Trump campaign chairman Paul Manafort and as former Trump aide Omarosa Manigault Newman was on a media tour promoting a new book critical of Trump and his administration. In another headline-grabbing move Monday that had likewise been anticipated, the Trump administration announced it was imposing 10 percent tariffs on $200 billion in Chinese imports, the latest salvo in the president's escalating trade dispute with China.